The Arizona Cardinals, a team brewed in the depths of a toilet, possess a great gift. 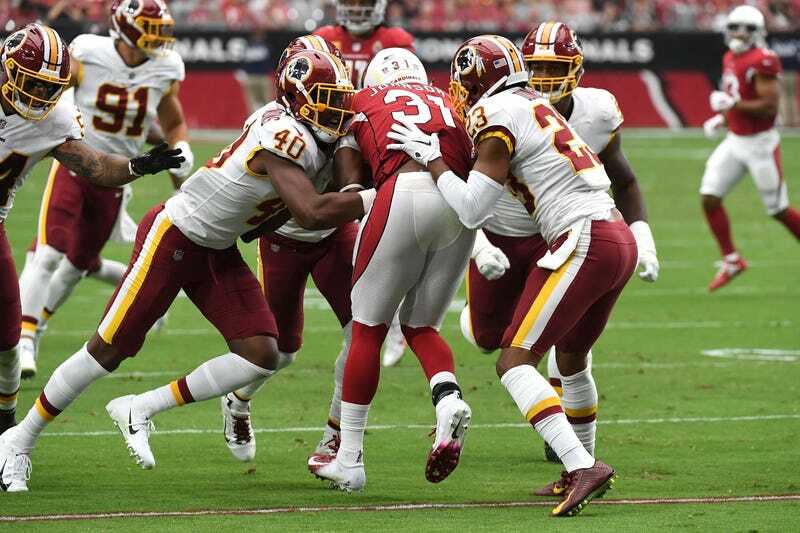 They have David Johnson, which means they have something that many NFL teams do not have: a running back who can stay on the field for all three downs and is just as dangerous as a receiver as he is a runner. Someone should tell the Cardinals this! Last night was another miserable game for Johnson, who finished with 39 yards on 14 carries to go along with three receptions and 31 receiving yards. That’s how it’s been all year for him; he has 501 total yards and 126 touches on the season. Yes, it’s tough for any running back to put up stats while his team is constantly getting blown out, but the particulars of how Johnson is withering are appalling. In 2016, Johnson was one of the best do-it-all backs in the NFL. He caught 80 passes for 879 yards and ran the ball 293 times for an additional 1,239 yards. He was a terror, stretching and twisting defenses while being deployed all over the field as a multi-positional weapon. 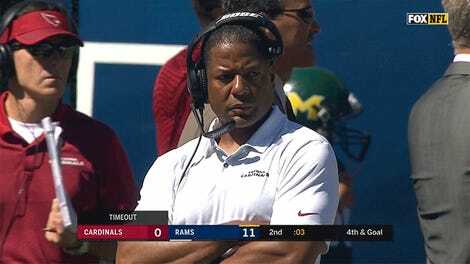 Johnson missed almost all of last season with an injury, and his absence seems to have caused Cardinals head coach Steve Wilks and offensive coordinator Mike McCoy to completely forget about what Johnson is capable of. This is criminal, particularly at a time when so many other teams are capable of using their running backs in creative ways that maximize their abilities. Teams like the Chargers, Giants, Rams, Chiefs, and Steelers are out there every week giving McCoy a blueprint for how to use a player like Johnson, and he just refuses to read it. Christ, even T.J. Yeldon, who hasn’t even been the Jaguars’ starter every week, has more receptions than Johnson. The Cardinals have a player who is capable of doing most or all of the things the likes of Melvin Gordon, Saquon Barkley, Todd Gurley, and Kareem Hunt are doing, and yet they insist on using him like he’s Mike Alstott. They should be contracted and Johnson should be allowed to sign with a less clownish organization.